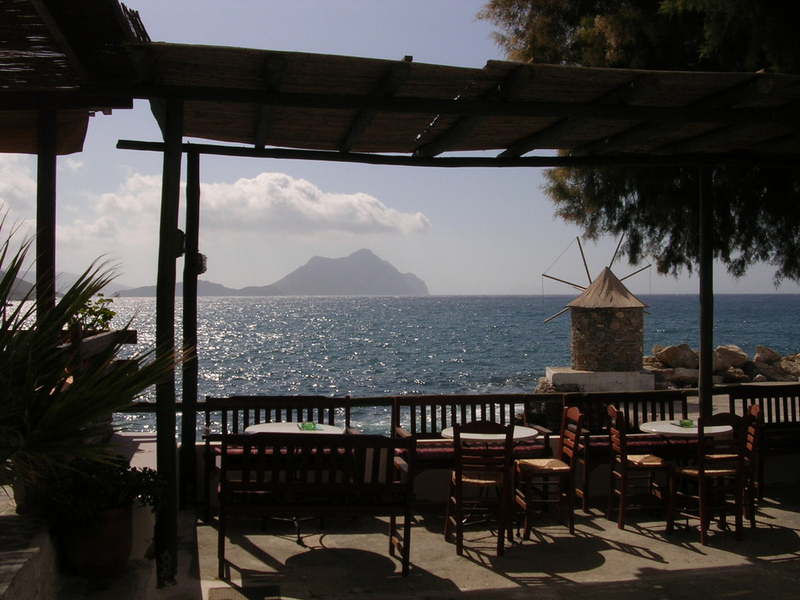 The beautiful islands are peaks of a submerged mountainous terrain, with the exception of two volcanic islands, Milos and Santorini (Thera). The climate is generally dry and mild, but with the exception of Naxos the soil is not very fertile: agricultural produce includes wine, fruit, wheat, olive oil, and tobacco. Cooler temperatures are in higher elevations and mainly do not receive wintry weather. In transportation, the Cyclades is the only prefecture in Greece that is not linked with a state-maintained highway or a highway number. 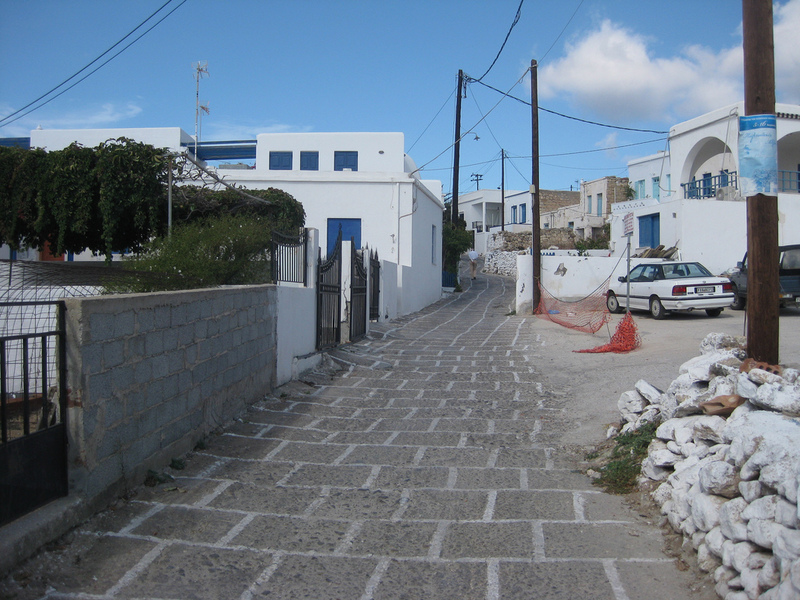 All of the roads in the island complex are secondary or provincial. 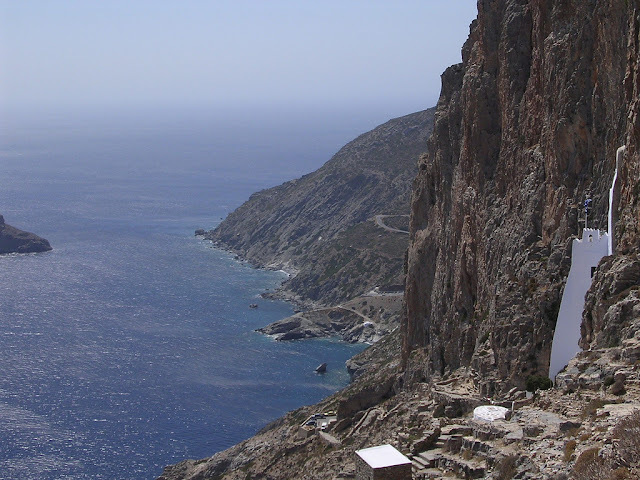 Amorgos Island - is the easternmost beautiful island of the Greek Cyclades island group, and the nearest island to the neighboring Dodecanese island group. 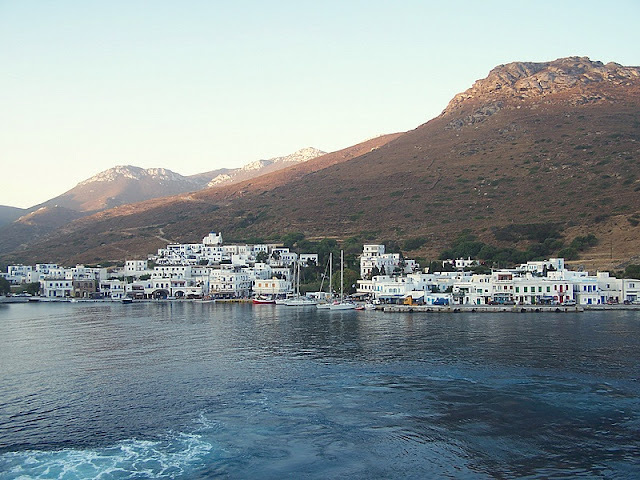 Along with several neighboring islets, the largest of which is Nikouria Island, it comprises the municipality of Amorgos, which has a land area of 126.346 km², and a population of 1,859 (2001 census). Anafi Island - is a Greek beautiful island community in the Cyclades. 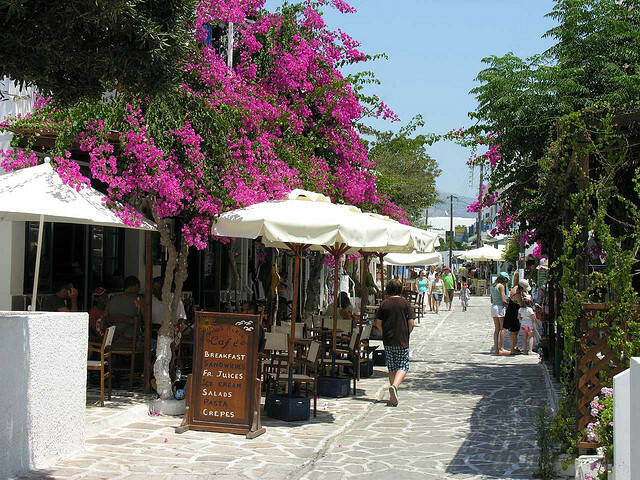 In 2001, it had a population of 273 inhabitants. 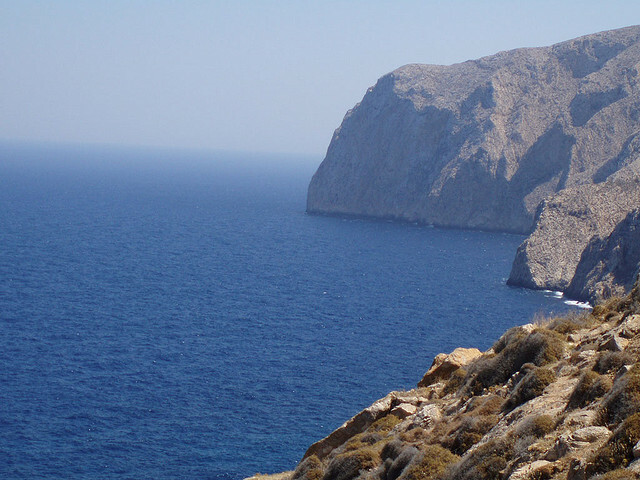 Its land area is 40.370 km². 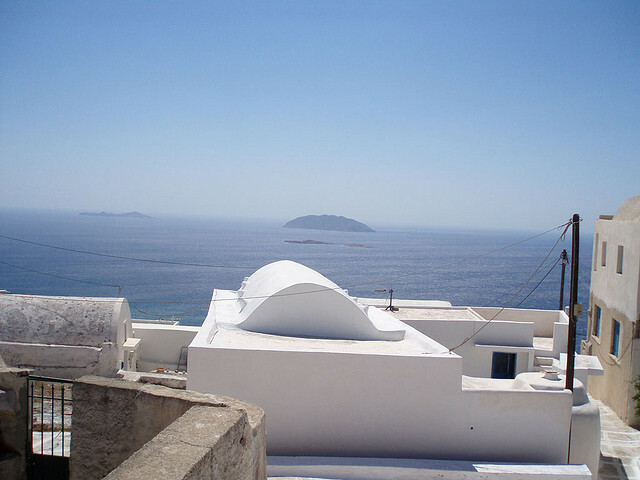 It lies east of the island of Thíra (Santorini).Anafi is gradually claiming its stake on the tourism market. It is currently in a position to offer all necessary services to travellers, who do not arrive in Anafi as a regular tourist, but usually have all the characteristics of the explorers of old times; explorers of a virgin and unworldly landscape, discovered each time anew by land and by sea. Andros Island - an beautiful island of the Greek archipelago, the most northerly of the Cyclades, approximately 10 km (6 mi) (6 miles) south east of Euboea, and about 3 km (2 mi) north of Tinos. 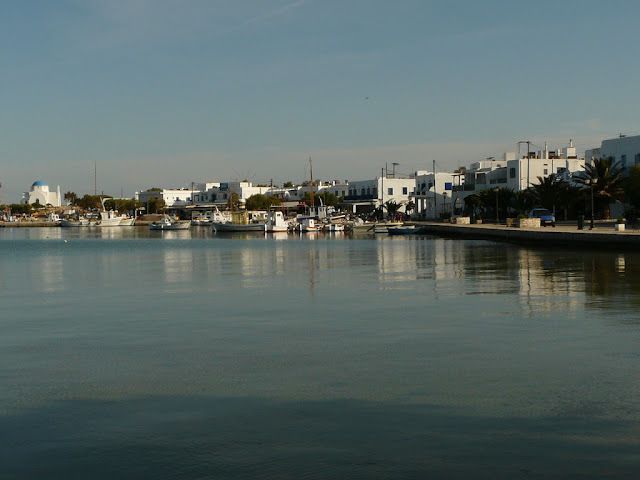 It is nearly 40 km (25 mi) long, and its greatest breadth is 16 km (10 mi). Its surface is for the most part mountainous, with many fruitful and well-watered valleys. 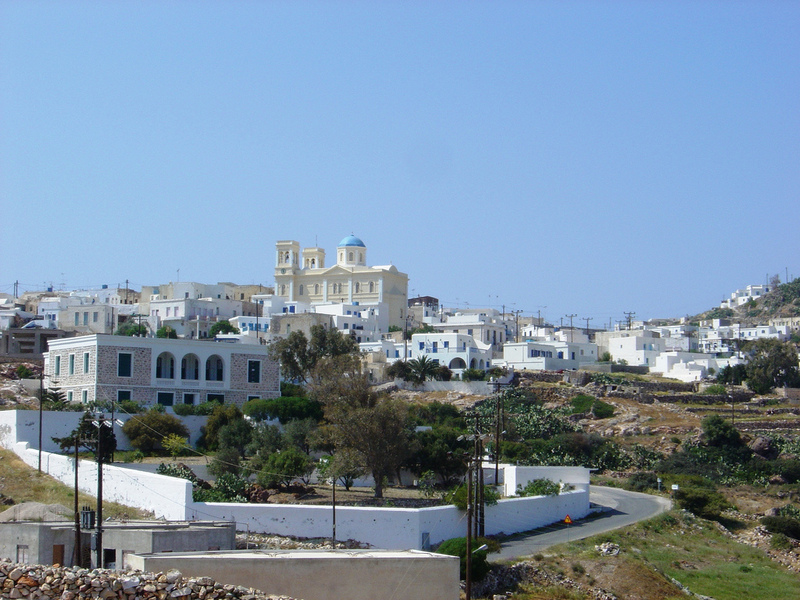 Andros, the capital, on the east coast, contained about 2,000 inhabitants in 1900. 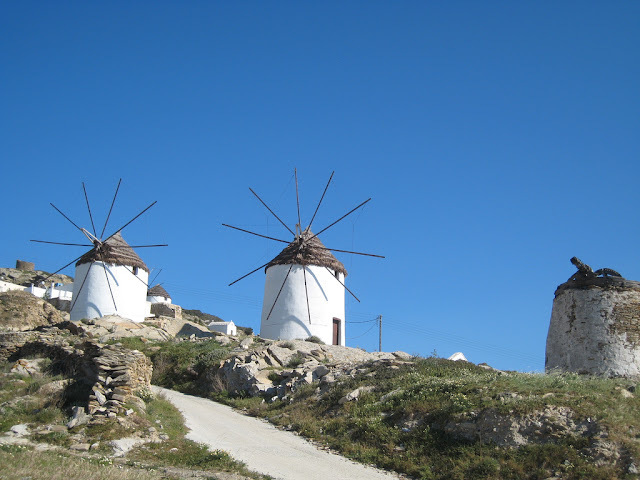 The beautiful island had about 18,000 inhabitants in (1900). 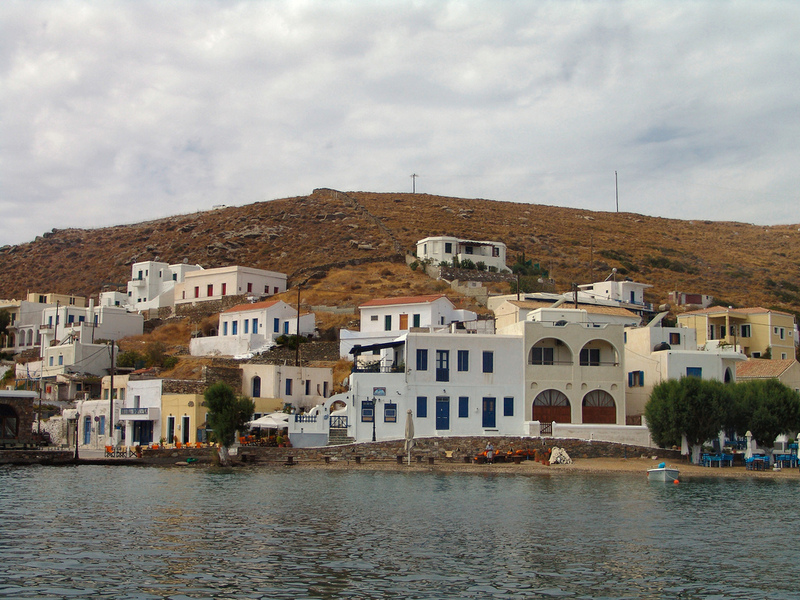 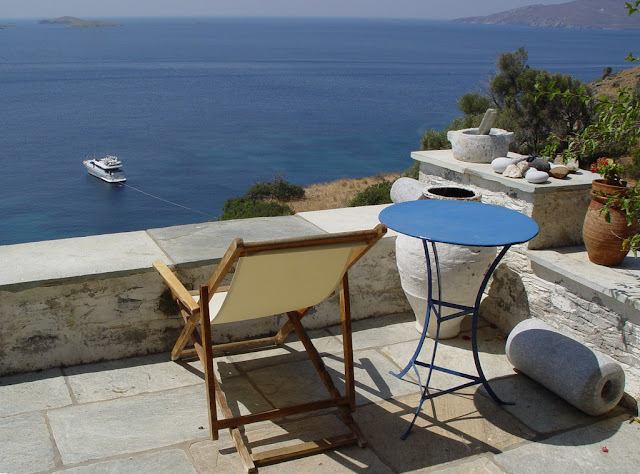 Ios Island - is a Greek island in the Cyclades group in the Aegean Sea. 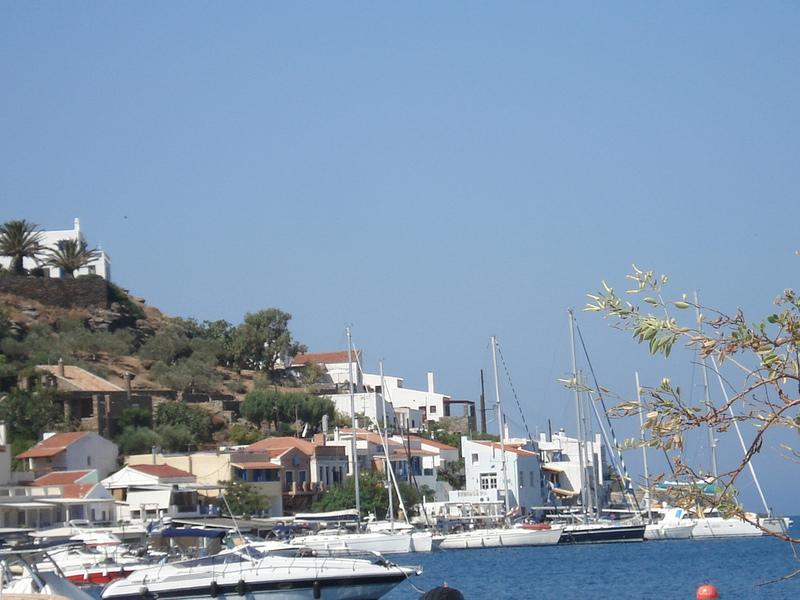 Ios is a hilly island with cliffs down to the sea on most sides, situated halfway between Naxos and Santorini. 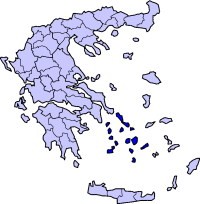 It is about 18 km (11 mi) long and 10 km (6 mi) wide, with an area of about 109 km² (42 mi²). Kea Island - also known as Gia or Tzia (Greek: Τζια), Zea, and, in Antiquity, Keos , is an beautifulisland of the Cyclades archipelago, in the Aegean Sea, in Greece. 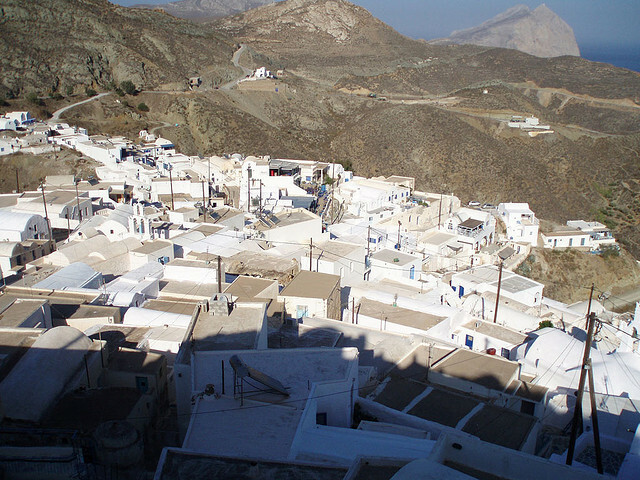 Its capital, Ioulis, is inland at a high altitude (like most ancient Cycladic settlements, for the fear of pirates) and is considered quite picturesque. Other major villages of Kea are Korissia (the port) and Vourkari (a fishing village). 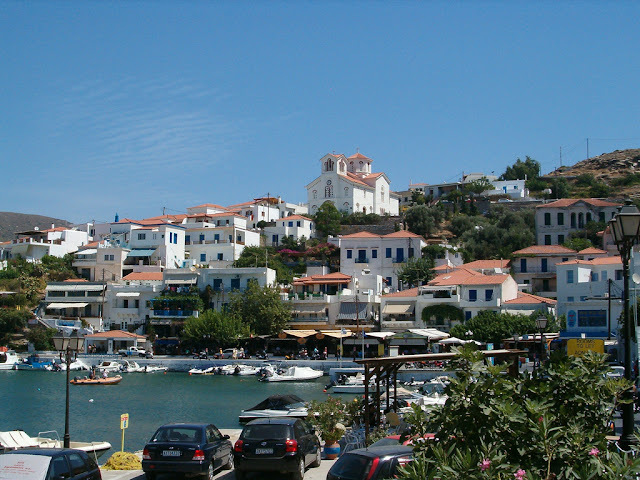 After suffering depopulation for many decades, Kea has been recently rediscovered by Athens as a convenient destination for weekends and yachting trips. The population in 2001 was 2,417. 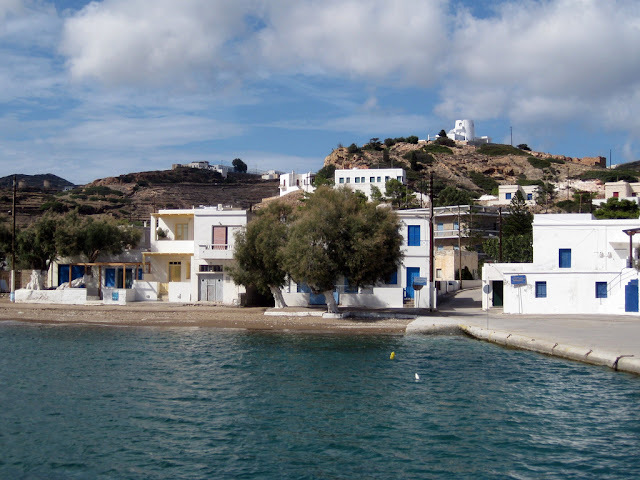 Kimolos Island - Capital town: Horio Kimolou, Port: Psathi, Area: 36 km², Highest point: Mount Paleokastro, 364 m) is a Greek beautiful island in the Aegean Sea, belonging to the islands group of Cyclades, located on the SW tip of them, near the bigger island of Milos. It is considered as a middle class, rural island, not included in the tourist hotspots, thus, ferry connection is sometimes of bad quality. 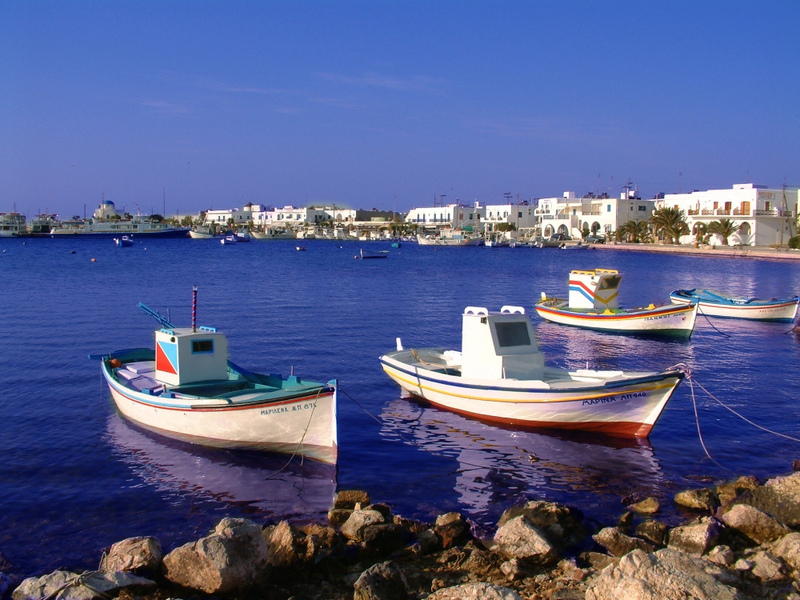 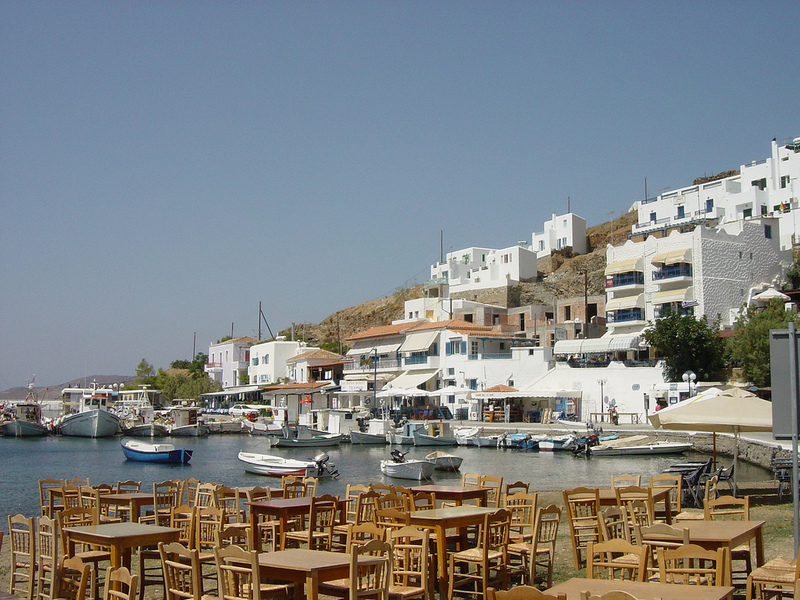 Kimolos is the administrative center of the Community of Kimolos which includes the uninhabited islands of Polyaigos, Aghios Eustathios and Aghios Georgios (purchased by local ship owner family). 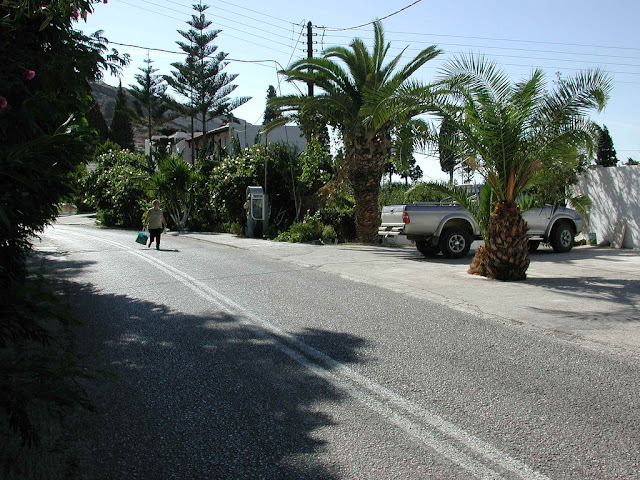 The community's land area is 53.251 km², and it reported a population of 769 inhabitants in the 2001 census. 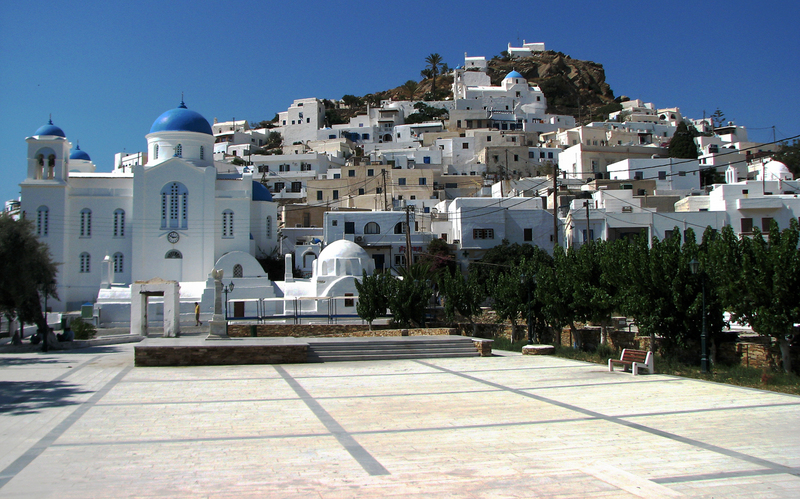 Kythnos or Kithnos Island - is a Greek island and municipality in the Western Cyclades between Kea and Serifos. It is 56 nautical miles (104 km) from the harbor of Piraeus. 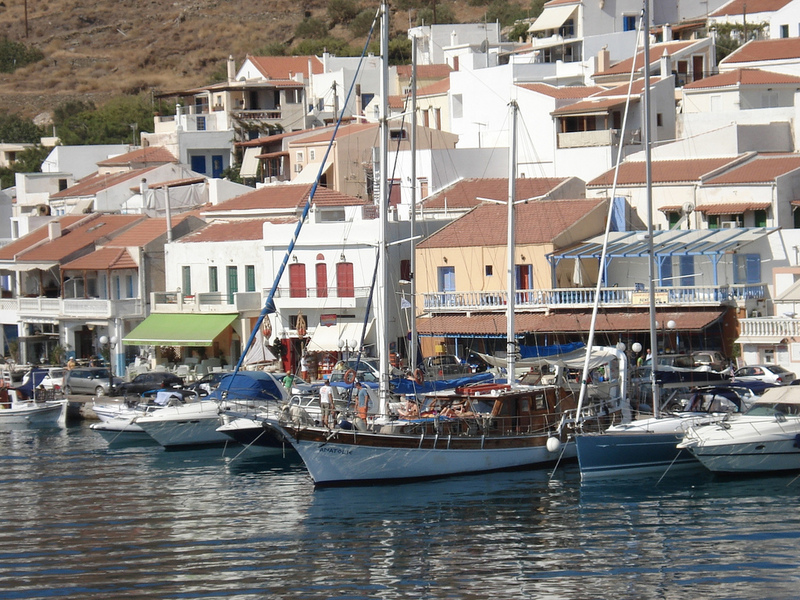 Kythnos is 100 km2 (39 sq mi) in area and has a coastline of about 100 km (62 mi). 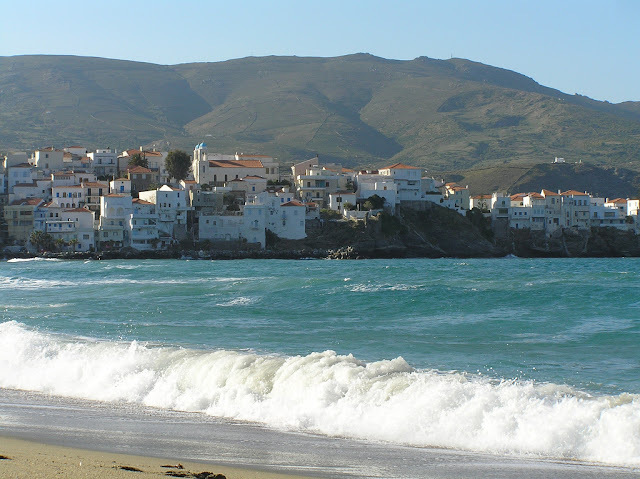 It has more than 70 beautiful beaches, many of which are still inaccessible by road. 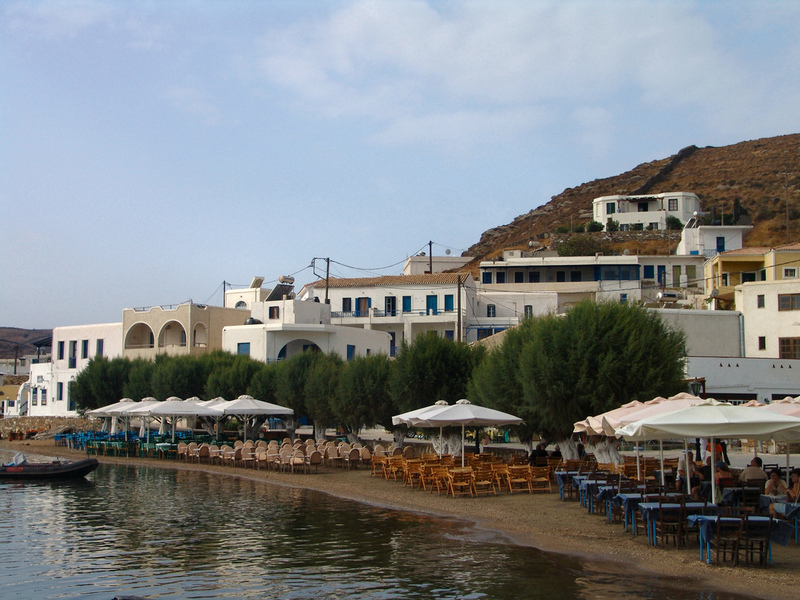 Of particular note is the crescent-shaped isthmus of fine sand at Kolona, where sunbathers may relax with the sea lapping at both sides of the beach.